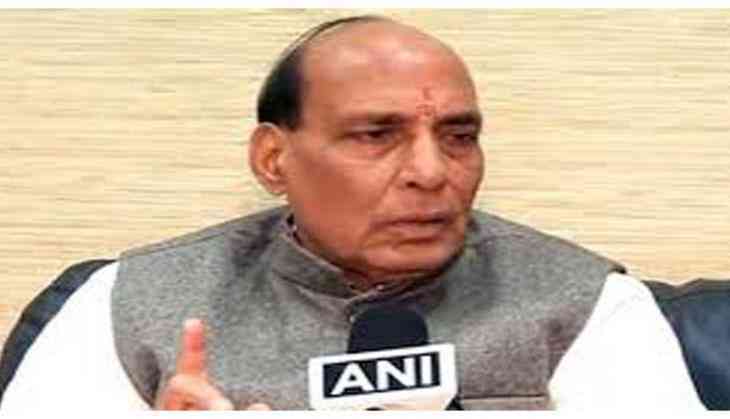 Union Home Minister Rajnath Singh on Sunday said the condition of Tripura under the ruling Communist Party of India (Marxist) has been very poor. Underlining the fact that 66 percent people in Tripura cannot even afford a cycle, Singh, while addressing an election rally in Agartala, said, "If one compares present situation in Jharkhand, Chhattisgarh and Madhya Pradesh to what it was 15 years back, they'll know how development is done, they'll know what is the art of development, after 25-years of CPIM's government, 66 percent of the people here cannot even afford a cycle." Singh, on the occasion, also raked the murder case of journalist Sudip Datta Bhowmik and assured a CBI inquiry in the matter. Underlining the fact that CPIM did not take any action in connection with the murder of the scribe, the Home Minister said, "There should be CBI investigation into the murder of journalists in Tripura. Till state government hasn't recommended it, if our government comes to power in the state within a week we will initiate CBI probe in Sudip Datta Bhowmik case." Tripura assembly elections will be held on February 18. The results of all the same will be declared on March 3. BJP-IPFT alliance is eyeing to oust the Left Front government which has been in power since 1993. Rajini mania: Chennai, Bangalore companies give employees a Kabali bonus!